Ah. Just a friendly warning to all you folks on bicycles. 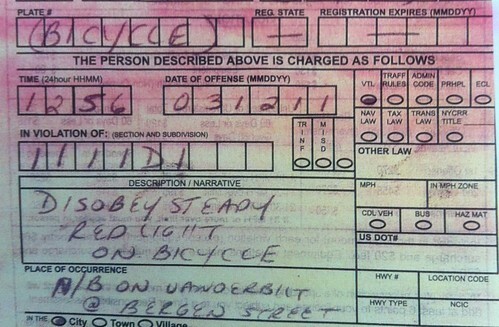 Cops are ticketing like crazy rabid dogs. Got one on a quiet, nondescript sunny Sunday cruising from Prospect Heights. $270 fine. WTF. If only I were Robin Williams.